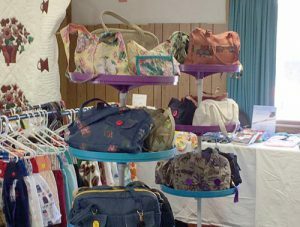 Each summer, the Women’s Group sponsors a Craft Sale. Member of the church as well as vendors from the area come onto the church property to sell their products. The group is always looking for new vendors, so if you know of someone, please contact the office.